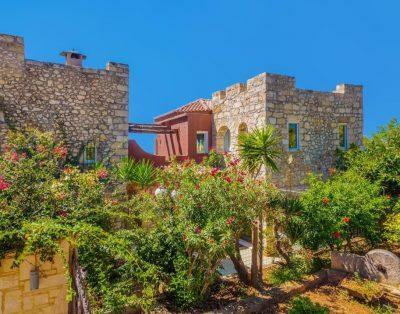 Seafront luxury villa in Livadia, Chania, Crete. 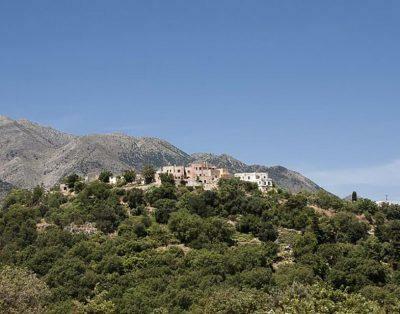 Villa that combines the breathtaking natural Cretan beauty and the contemporary luxurious design. The beauty of the wild landscape of western Crete meets with the highly sophisticated architectural design in a dreamy setting that promises an unforgettable stay even to the most demanding travelers. Villa Neptune, nestled within the wild rocks of Cape Koutoulas and with a majestic view to the sea, is the epitome of luxury, freedom and exclusivity. The design philosophy of Villa Neptune draws its inspiration from the spectacular natural environment. The stone and the warm colors of the structure blend perfectly with the surroundings while the infinity pool merges into the deep blue sea, creating a feeling of serenity and exhilaration. Interior Glass, rock, wood and warm, earthy colors dominate creating a feeling of tranquility and comfort. The spacious living room of the villa accommodates two comfortable sofas that allow you to relax and enjoy the amazing view to the pool, while the imposing dining table next to the living room allows you to comfortably enjoy your meal. The first master bedroom, located on the ground floor, features an en-suite bathroom with a double Jacuzzi tub and, through its vast glass opening offers an unsurpassed view to the sea and to the illuminated rocks. One more master bedroom with ensuite bathroom and a twin bedroom with shared bathroom are found on the upper floor of the villa. The rooms open up to their own private balcony where residents can sunbathe and enjoy the stunning sea view. Exterior The superb exterior of Villa Neptune offers a breathtaking view of the scenic landscape dressed with a lacy beach, rugged volcanic rocks and the blue sea. Guests can plunge into the infinity pool and watch the blue colors of the pool, the sea and the sky becoming one… One level lower from the pool, residents can enjoy their full seclusion at the lounge terrace with the daybeds placed in a position that allows the dazzling view to unfold before their eyes.